Peterborough Psalter facsimile edition: just announced! 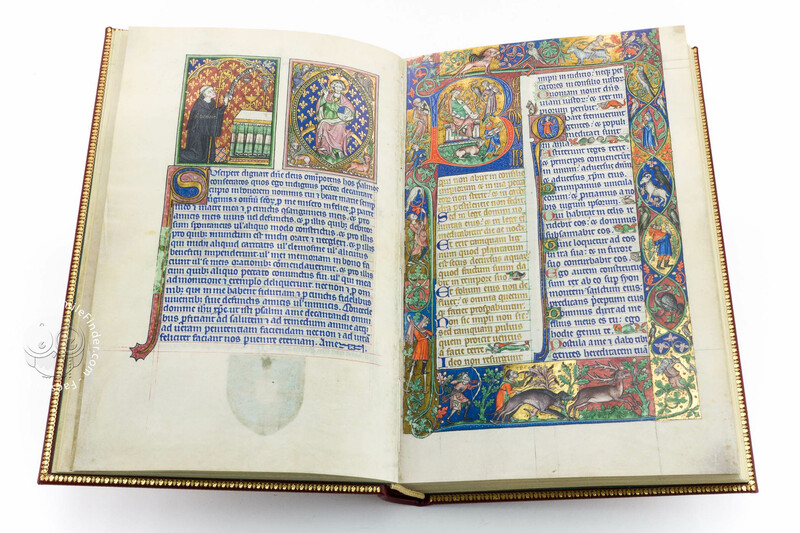 The Peterborough Psalter in Brussels, the most beautiful of the Fenland manuscripts, has just been announced as the next facsimile by Quaternio Verlag Luzern. Quaternio Verlag Luzern doesn’t miss a hit! In their 5th year of activity, the super-active publisher from Lucerne has just announced their 11th facsimile edition: a remarkable publishing rhythm that puts the Swiss publishing house on top of the facsimile industry. The Peterborough Psalter in Brussels (ms. 9961-62 at the Bibliothèque Royale de Belgique in Bruxelles) is the new medieval facsimile just announced. The manuscript is a lavish illuminated codex produced in England (probably Norwich or London) at the very beginning of the 14th century (circa 1300-1318). More than 116 scenes from the Old and New Testament are arranged in full-page miniatures; moreover, 35 beautiful historiated initials and 12 calendar pages are featured throughout the codex. This work of art is the most beautiful of a group known as the Fenland manuscripts. 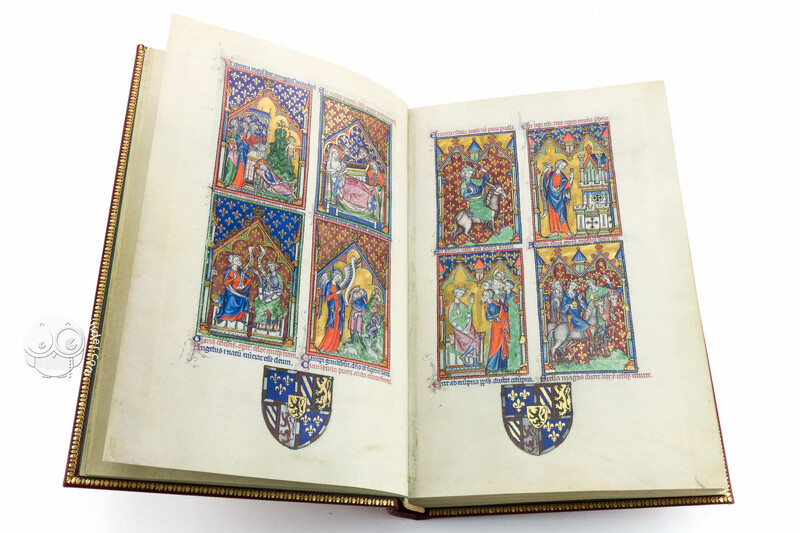 Lucy Freeman Sandler thoroughly described this family of manuscripts in her book “The Peterborough Psalter in Brussels & other Fenland manuscripts” (London: Harvey Miller – New York Graphic Society, 1974). Quaternio Verlag Luzern is successfully approaching new techniques in facsimile production. The Speculum Humanae Salvationis in Einsiedeln facsimile, announced last Spring, in going to have parchment-like paper, with light cockling on the page. This features, a big news in the facsimile production of German-speaking countries, is going to stay in the Peterborough Psalter. The Peterborough Psalter, in fact, features embossed gold on every single page of the manuscript. The whole text (apart the columns written in blue ink) is made of gold leaf. Quaternio Verlag has announced that this facsimile edition, for the first time in their history, will feature embossed gold! 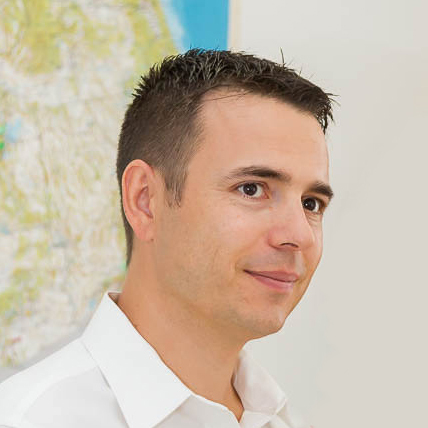 7,980 EUR after the publication. Get in touch to receive more information or to order your copy today!